I started this blog intending to never fill it with cheesy family vacation shots. I certainly didn’t intend to write about places that are already commercially popular, as I try to highlight simple living that’s off the beaten path. 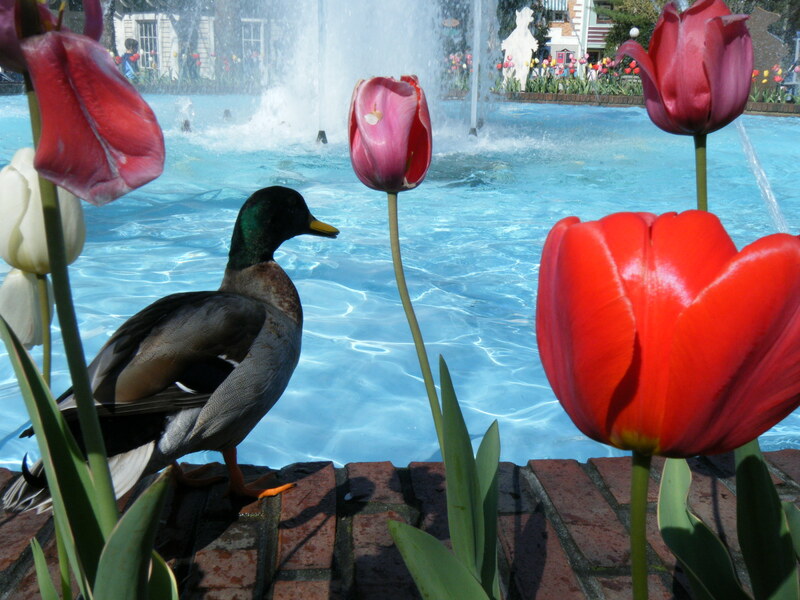 Then a duck posed for me at Dollywood, beside a large fountain brightened with tulips. I had to admit that this Smoky Mountain destination is always picture perfect. Our little family spent an entire day frolicking in the euphoria of theme park land. So, I decided I might as well post about it. 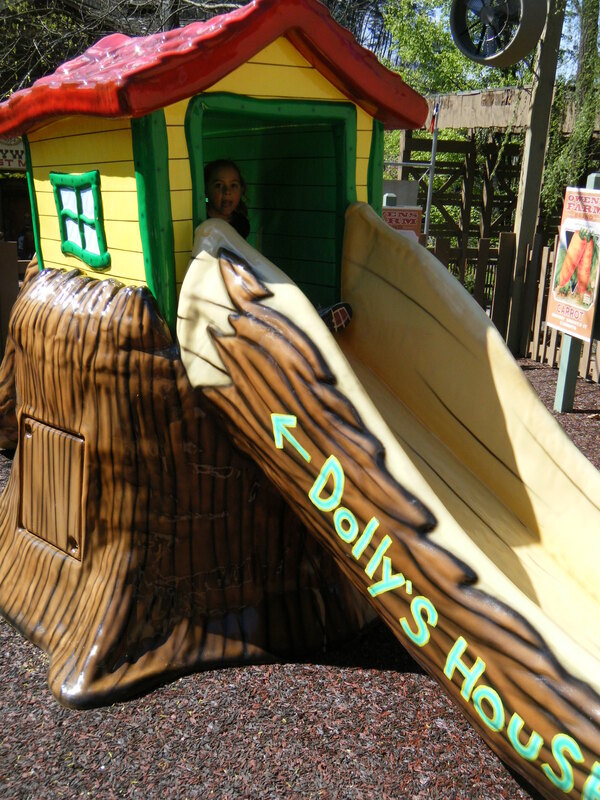 Dollywood is, in many ways, a picture-perfect family theme park. We were less interested in the latest thrill rides (although they have them) than in the overall family experience for those of us with young children. Dollywood consistently exceeds expectations. The customer service goes far above the typical theme park, with grandmotherly ride operators who sing Old MacDonald or Happy Birthday to the preschoolers. I wish that when my children were babies I’d encountered more places like this, complete with clean, quiet facilities for breastfeeding and diapering. Safety and security are closely watched by attendants who won’t even allow a child to climb the wrong way up a slide. 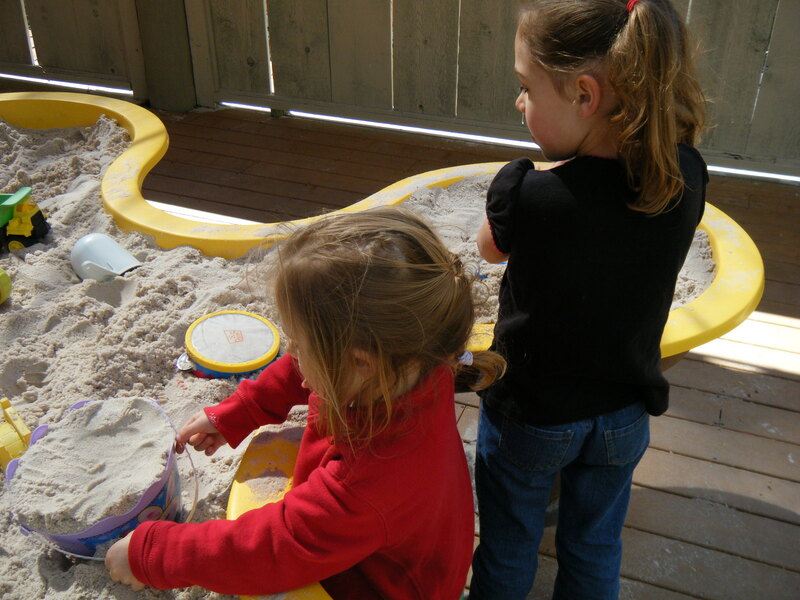 We found a new playground area open this spring, complete with sand tables. 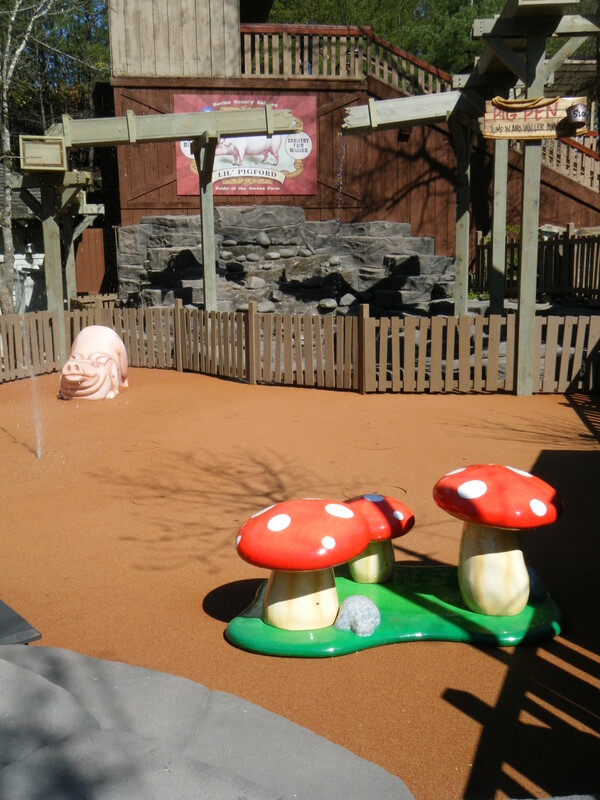 The playground includes a splashpad that’s ideal for summer weather. The kids were challenged at the tot-sized ropes course called “Camp Teach It To Me,” which promotes physical fitness and accessibility. 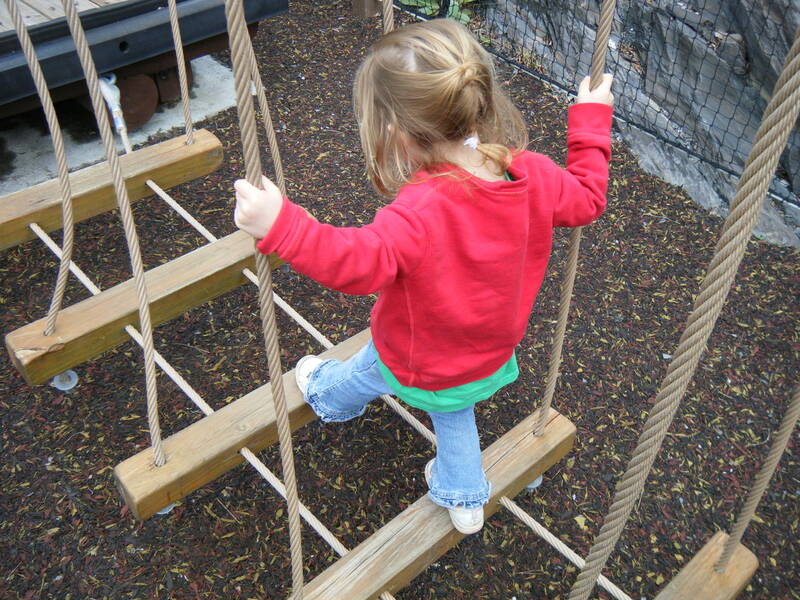 *We were disappointed to see this play area with ropes course had been removed in a later year. We took in a dance performance called Samaia, which celebrates Eastern European culture with pageantry and precision. We even watched an outdoor performance of a drum troupe from Trinidad who received a standing ovation for their rendition of the Hallelujah chorus. When the husband gets his mind off work and starts acting like a kid again, and the kids play so hard that they sleep all the way home, it’s been worth the admission price. Even for frugal parents like us.